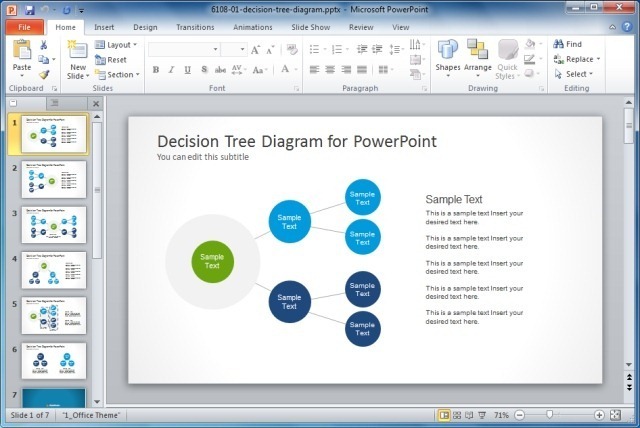 This simple Decision Tree Diagram for PowerPoint includes an horizontal decision-tree diagram design created in PowerPoint showing three levels of hierarchy. You can use this decision tree slide design to prepare presentations for root cause analysis or problem solving PowerPoint presentations. Return to Organizational Chart Templates For Making Attractive Presentations.